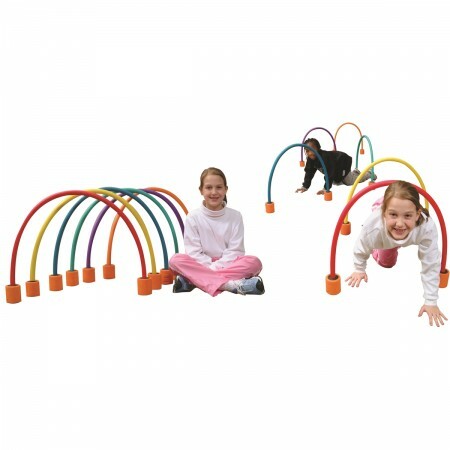 These foam covered crawlgates can be used for crawling skills and also for throwing or kicking a ball or object through the arch. 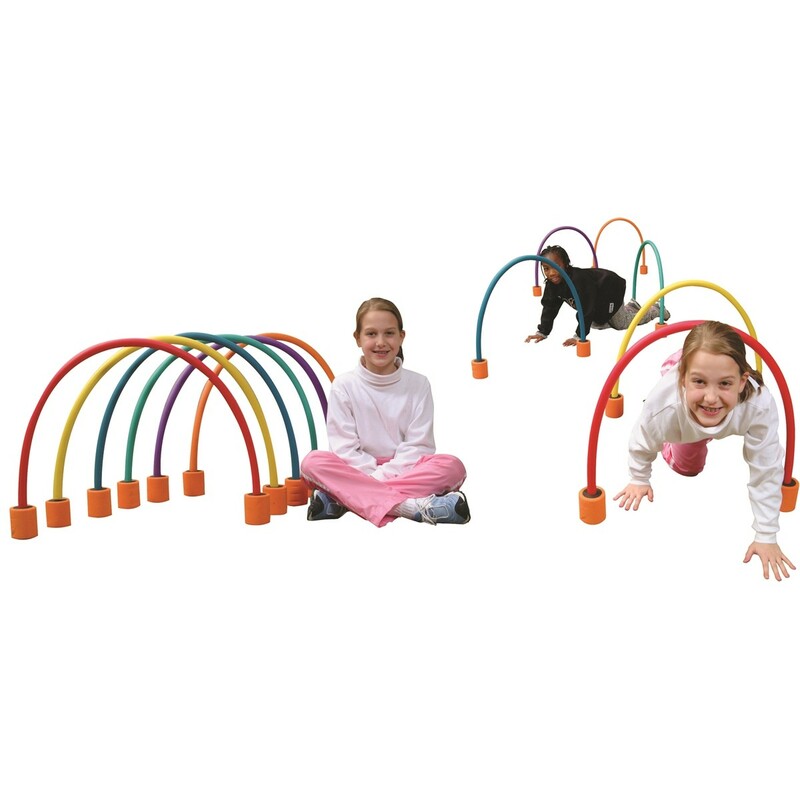 Crawlgates are made from safe and durable foam. The arches are stabilized by weights incorporated into the feet. The height can be adjusted between 53 and 61cm simply by positioning the bases.